Last month, I read an interesting article on Yahoo about Michael Jordan. Unfortunately, I do not play basketball; nonetheless, the name Jordan is a basketball legend. 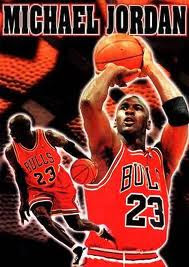 Everyone in the basketball camp knows Jordan, the NBA player who lead Chicago Bulls into amazing victories in years. Since Jordan's retirement I have not heard much about him and what he does. His mansion by the way was up for sale for $29 million in February this year. I think the biggest problem has been I don't know if he has hired enough people around him who he will listen to. One thing about being famous is the people around you, you pay all their bills so they very rarely disagree with you because they want you to pick up the check. They want to fly around on your private jet so they never disagree with you. I don't think Michael has hired enough people around him who will disagree (Emphasis mine). The point I am making here is not to blame Michael Jordan or his alleged yes-men, even if the point of the Yahoo article seemed to blame the yes-men in Jordan’s camp. On the contrary, the issue I like to raise here is leadership. In leadership, there are 'yes-men' or 'yes-followers' and there are some leaders who want only yes-followers because they are not secure enough to empower others. Yet, the issue I like to raise is not to blame the yes-followers but to blame leadership who wants yes-men on their team. After reading the article, leadership has dawned on me. One of the reasons leaders failed in making a greater impact is because they want yes-men on their team. I have watched leaders in the past who want only yes-followers, yes-men who never disagree with the leadership. Whenever followers begin to raise their head and question leadership authority, leaders feel threatened. Instead of being grateful, some leaders think that those who raise questions the most are carnal and proud. I would love to have people on my team who knows how to think for themselves and not simply follow orders.